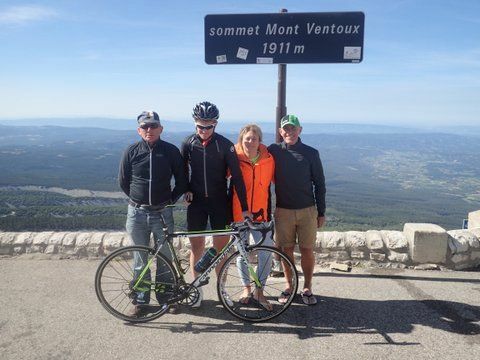 Stuart Hall Cycling was involved in history in the making at the weekend with a fantastic first year for new sportive Ventoux3. 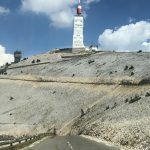 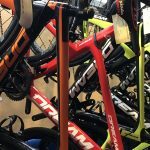 A team of fearless cyclists took on the challenge of a lifetime on Saturday, tackling all three sides of the infamous Mont Ventoux in France in just one day. 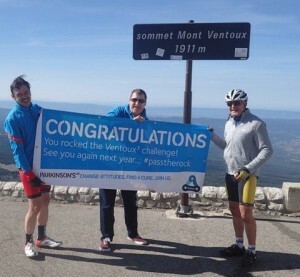 And all of those participants who took part to raise money for Parkinson’s UK completed the event. 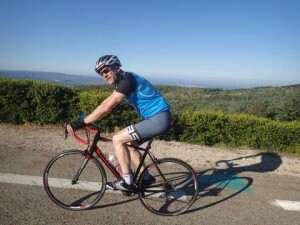 Not only that but Game of Thrones actor Enzo Cilenti rode the route on a tandem with his father, who suffers from Parkinson’s. 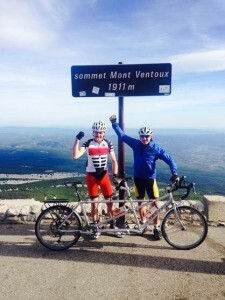 Together they made history by becoming the first recorded cyclists to ride all three sides of the Ventoux on a tandem. 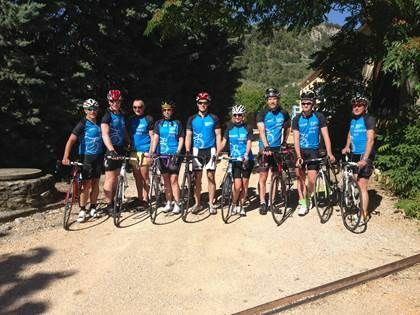 They raised more than £10,000 for Parkinson’s UK, with donations flooding in from members of the public who have been inspired by their achievement. The other participants who completed the challenge have added thousands of pounds more to that total. 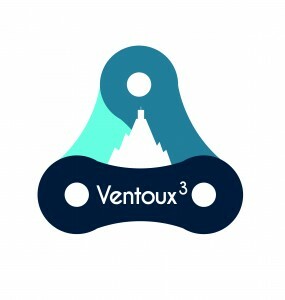 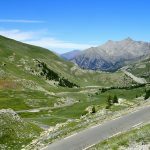 Ventoux3 was set up as a new sportive this year by Parkinson’s UK and Stuart Hall Cycling. 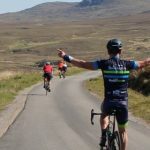 Stuart Hall, director of Stuart Hall Cycling, says, “The event was a tremendous success and I’m really impressed by everyone who completed what was undeniably a very tough challenge. 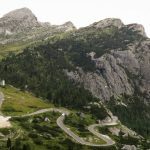 “Participants not only had to tackle the steep climbs but also extremely high winds and temperatures that hit 28 degrees. 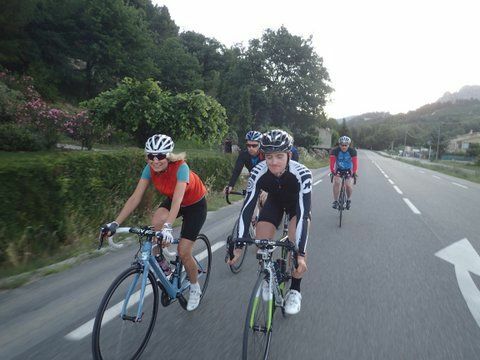 The riders started at 7.15am from the Malaucène side and descended into Bédoin. They took a short break before starting the famous climb from Bédoin. 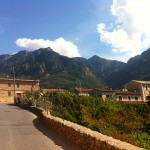 By now it was about 28 degrees and the wind was getting worse. 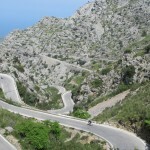 Most riders took about three hours to complete this climb, and most had to overcome cramp on the way up. 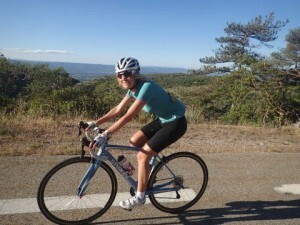 This made the descent into Sault very welcoming. Participants took on another short break before starting the longer but more gentle climb out of Sault to the summit. With the help of a tail wind most riders completed this side in around 2 hours 40 minutes.